How to educate the educable, so many of whom who are turned off by the present system. The writer is Editor-in-Chief of the 22-volume second edition of the Encyclopaedia Judaica, winner of the 2007 Dartmouth Medal and author of The Other Shore (Aqueous Books, 2011), an epic novel depicting Israeli society at a critical juncture in its recent history. Quite some time ago, Channel 10 ran a series of reports called "Who Needs the Schools?" on its nightly news. This was meant to be an examination of our educational system. 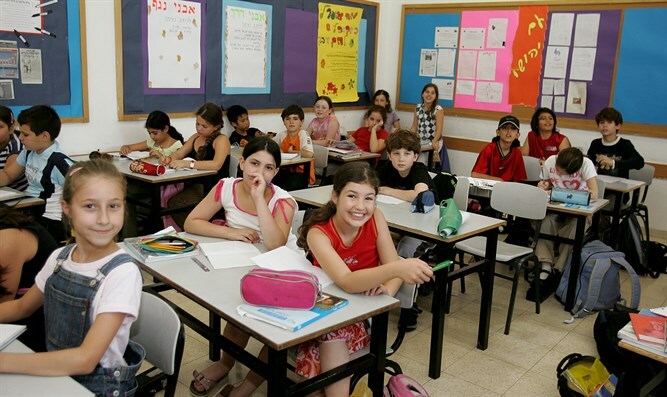 We all understand that public education in Israel is a disastrous failure. It is of course a disastrous failure in the entire West but Channel 10 had its own thesis and after asking a few rhetorical questions sent out its reporter to find the answers. After watching one segment in which it was suggested that the aim of an educational system might not be merely to impart knowledge but "to make us better people," that is, to impart values, I remember being left with the feeling that neither Channel 10 nor the pedagogues, teachers and parents whom Channel 10 interviewed had the slightest idea what is really wrong with our educational system and what an educational system is and is not capable of achieving. It may seem natural to wish to see our schools teach values and make us "better people," that is, more tolerant, less violent, and all the rest, but this is the one thing that schools cannot do, for of the three sides of the triangle that shape the child – home, school and street – the school is the weakest link and at best can only reinforce the other two. It is only when the three are in perfect harmony that the school can influence the child's system of values. In Israel such harmony has existed in just three sectors of the population: in the pre-Six Day War Zionist ethos of the kibbutz, and by extension in the society as a whole in that nation-building period; in religious Zionism; and in Ultra-Orthodoxy. In these relatively closed worlds, what the child heard in the school was or is precisely what he heard in his home and in the street. When such harmony does not exist, what will shape the values of the child is quite simply the street or, in the jargon of sociology, his peer group. What his friends think is more important to the child than what his parents and teachers think. Any effort, therefore, to impart values that are not reinforced by this peer group is doomed to failure. Naturally enough, the same pedagogues (and politicians) who do not understand why the schools cannot impart values, also do not understand why the schools do not succeed in imparting knowledge. Once we heard Bibi boasting about how many computers he was getting into classrooms. Before that we heard Yossi Sarid boasting about his enlightened list of writers who were going to be taught in the schools (the kiss of death for any writer on such a list, guaranteeing that he will never be read again by those same hapless students), and more recently we heard Naftali Bennett boasting about his educational reforms (English, Mathematics, patriotism, more qualified teachers, more for the periphery, etc.). Needless to say, none of these politicians have the slightest idea why the educational system is such a dismal failure, and all they really have to do is ask their own children what the problem is. For the simple fact of the matter is that children do not learn what the public school system wishes them to learn because school bores them. and it is not their fault either. A four- or five-year-old child wants to know everything. He will drive people crazy with his endless questions. After a year or two in the school system he doesn't want to know anything and will tell anyone within hearing distance that he "hates" reading, composition, arithmetic, science, social studies, whatever – hates school in fact. The challenge of an educational system is to make the learning process interesting to the child, not to make the child sit still. Why, throughout the West and in Israel as well, subjects are taught in this bludgeon-like way, completely unattuned to the capacity and temperament of the child, is not very hard to discover, for until not so long ago, historically speaking, nearly all teachers in the West were churchmen. The view of the Church that as a consequence of Original Sin all men are born evil and must therefore be coerced into doing what is good produced schools that made study a burden and created in the child an aversion to the learning process that persists to this day in these same rigid frameworks. The incredible irony, in the Israeli public school system, is that it is this essentially Christian worldview that has determined how Jewish children are taught. The challenge of an educational system is to make the learning process interesting to the child, not to make the child sit still. This it has not thought to do and does not even know how to do. The only way to teach schoolchildren is to feed their natural curiosity. This requires innovative teaching methods so far removed from today's classroom atmosphere that they would be unrecognizable to today's pedagogues. Some will argue that modern educational systems do their job by supplying society with its elites, but this is of course an illusion. All that is proven by the emergence of elites is that the public schools cannot destroy them, for elites take care of themselves, possessing the talent and ambition to survive the system. As for the nonelite population – say, 80% of students – they are of course shortchanged. There is after all no reason why the man in the street should not pursue knowledge. Western education makes sure he won’t, through no fault of his own, for he certainly has the capacity to learn (as anyone knows who has ever overheard a bunch of high school dropouts talking about the history of their local soccer teams, for example). It is not enough to teach the right subjects to children. They must be taught imaginatively.